Apparently the Illinois Department of Information had a computer glitch and now I’ve been flagged with a Burn Notice. 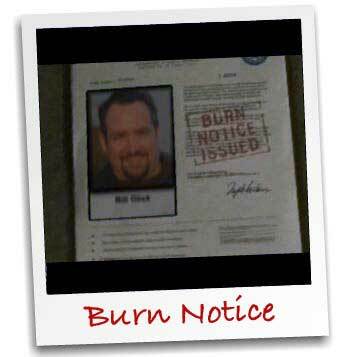 Thankfully this is just a clever viral video promoting the 2nd season of Burn Notice on USA. But, I enjoyed how they created the customized video on the fly.